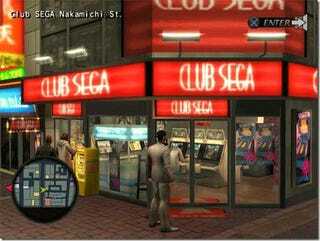 When Yakuza was released in the U.S. without a Japanese voice track, there was actually a significant fan outcry. Obviously, this is a very Japanese game, set in Japan and dealing heavily with Japanese culture, and quite a lot of people thought that not having the original Japanese dialogue affected the game's sense of authenticity. When definitely took that fan reaction into account when making the ultimate decision to go ahead with the Japanese voice track for Yakuza 2.